Bandsaw Blues continued .. but this time with some awesome advice. Wow! Thanks all for the great comments (see previous post Bandsaw Blues). I wanted to say a bit more about yee old bandsaw before I respond to all the comments I got. So my bandsaw is a Grizzly G0555 14″ and its pretty new. I bought used from a guy who used it once and decided he need a different saw to do metal work. The saw has a 1 hp motor. I removed the guides and replace them with Carter Bandsaw guides. I also upgraded to a Kreg Bandsaw fence. However, upon reading the latest Fine Woodworking Tools & Shops magazine that just arrive at the house I’m wondering if I should have gotten the Grizzly resaw fence. I did all this upgrading over a about a year. The last upgrade I made was to add a riser block to the saw to increase my capacity. Prior to this I had the thing set up to make really nice cuts. I adjusted the fence using the send a board through and teak it method shown in this video by none other than Micheal Fortune and this one at the Wood Whisperer. Also by adjusting for the drift angle. 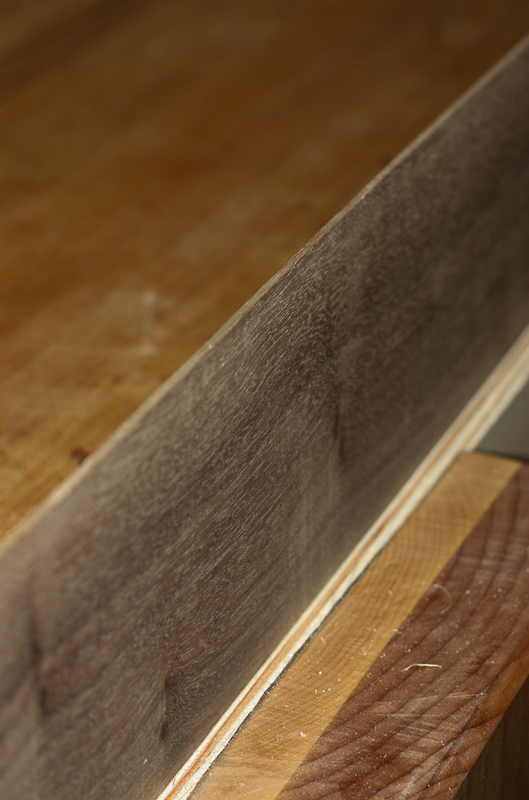 Oh, and I installed a Wood Slicer® 1/2″ Resaw Bandsaw Blade. So, with all this, it should be cutting like a champ, right? My bet is that I messed up the tensioner when I added the riser block. I dislike the tensioner on this tool because it’s really hard to adjust. Sooo …. now I’m reading the article “5 tips for better band sawing” in Fine Woodworking Dec 2004 (#173)” and headed out to the garage to see if I can fix my tensioner. 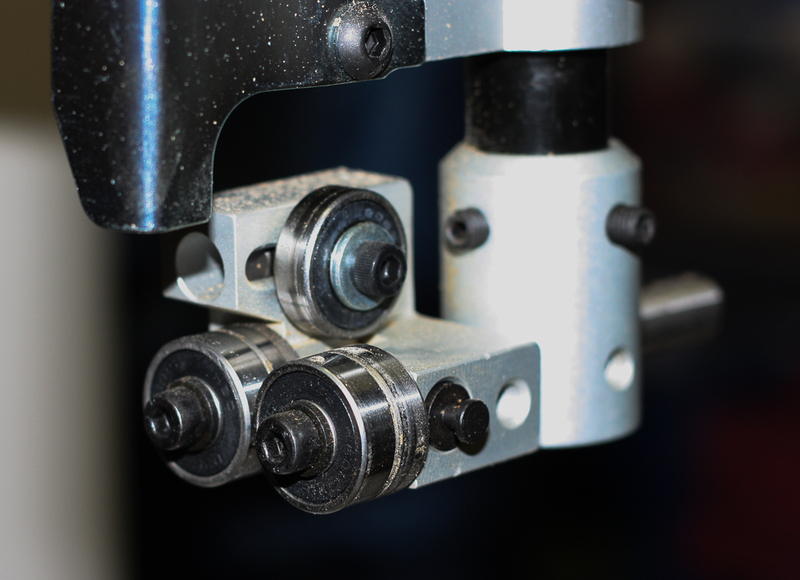 4 Responses to Bandsaw Blues continued .. but this time with some awesome advice. 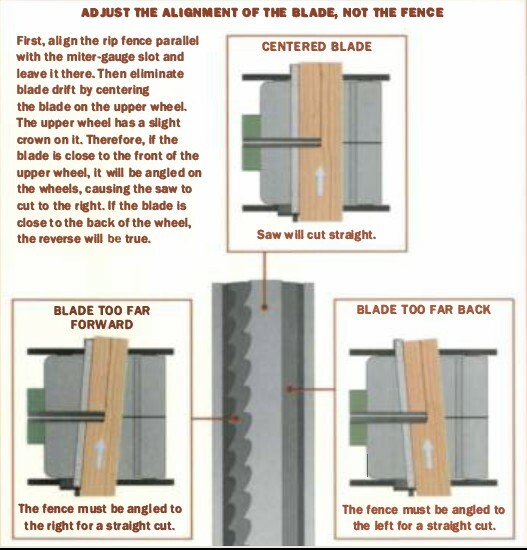 This is the first time I have seen the instructions on centering the blade on the upper wheel to eliminate blade drift. This is the way I have always setup my bandsaw. It is a Delta with a 6″ riser and it routinely resaws within 0.010″ measured with dial calipers all the way around the cut. the most important things in settin up for resawing are blade tension and a sharp blade. A bandsaw blade is like any other cutting tool. It must be sharp to deliver its best performance. The curved cut that you showed in your first post is caused by a dull blade and/or improper blade tension. Ah ha! Interesting, never heard that solution before. Thanks!